Madeira is a sweet, fortified wine with a long history. It does not need to be aged but it can also wait for years without the flavor diminishing. It is generally made in what is called a "refreshed" manner, where old wine is added to new to keep the flavor consistent year after year. Lying southwest off of Portugal, the island of Madeira has been populated and cultivated since the 15th century. Enjoying a temperate climate, the island immediately proved a good place for growing. Initially, the focus was on sugarcane because sugar fetched a high price, but since Brazil eventually proved a better place for sugar cultivation, the farmers switched to growing grapes. Being near to major Atlantic shipping routes, Madeira found it easy and profitable to sell its wine as long as it could keep it stable during the long journey. 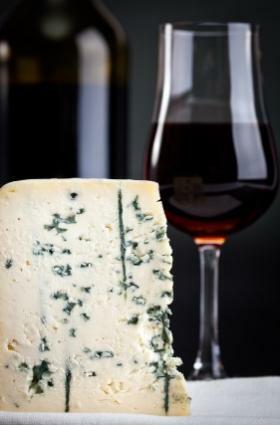 To do so , winemakers added brandy to the wine to preserve it. The final and perhaps most important factor for the success of the wine trade was the accidental discovery that wine actually tasted better after sitting in the hold of the ships. The heat of the tropics and the constant agitation from the rolling sea softened the wine, imparting a rich caramel character. The longer a cask had been "afloat" the more valuable it became. American demand drove a good deal of this trade. Madeira was favored in Colonial America and well into the Victorian era. Unfortunately, in 1873 the scourge of Phylloxera found the island and nearly all the vines died. Today only about 20% of the original island vines remain. How Madeira comes into being is certainly a singular process. Like all fortified wines, winemakers add distilled alcohol (in this case brandy) early in the fermentation, and it acts as a brake upon the chemical process. Yeast feeds upon sugar, and this fortification serves to retain a good amount of natural sweetness. Unfortunately, the days of sail are long over and modern Madeira producers must replicate what happened in the dark, dank cargo holds of yesteryear. They do this by slowly heating the wine for a few months. One wonders if the results of circumnavigating the globe in a sailboat can be replicated this easily, but it seems to work. Unlike any other sort of wine, Madeira is exposed to air and heat on purpose. Due to these practices the finished product is nearly indestructible. An open bottle can last for months and a sealed bottle can last for hundreds of years. Most if not all Madeira is bottled with the Solera method, in which many different vintages are blended together to create the desired result. Madeira is classified by sweetness and how old the finished blend is. The earliest year in the blend determines how old the bottle is considered, though components of the blend might be much older. The name of the grape on the label indicates the degree of sweetness. Since Madeira can age so long and so effortlessly, producers don't release the better vintage wines until they're very old. More common are the ten and fifteen year releases, and most good wine shops will have a few. It's not uncommon, especially at wine auctions, to see bottles from the 19th century and older. They often sell for a premium, but how many things are still good and enjoyable after 100 plus years? Madeira is often redolent with warm flavors of raisins, caramel, and toffee. It is a sweet wine, not usually meant to accompany the main course. The exceptions to this are mushrooms and chicken, which the wine compliments nicely. Smoked almonds can add a pleasant texture and taste balance as well. Over 50% of all Madeira wines are produced by an associated comprised of 27 produces. Called the Madeira Wine Company, this association has taken over most of the smaller producers over time. There are seven independent Madeira wine producers that are not involved with the Company. The Henriques family has been making wine on the island of Madeira since the 1400s but the company Henriques & Henriques was not formed until two Henriques brothers went into partnership in 1850. It is currently the largest as well as the most respected independent Madeira house. Barbeito is part of the Madeira Wine Company. It was a late comer to the Maderia industry. Founded in 1946, it has gained the respect of many wine experts for its full bodied, distinctive flavors. Leacock's has the distinction of being one of the two oldest producers of Madeira in the world. The company was founded in 1760 by Thomas Leacock. Thomas left England in 1741 and at the age of fifteen and became one of the youngest apprentices at the firm of Madeira merchants, Catanach and Murdoch. He began his own company, founded in 1760. The oldest Madeira producer in the world, Cossart Gordon, has been producing Madeira since 1745. Their 15-year-old Madeira consistently fetches high prices at auction. Which Madeira you should choose depends a lot on your budget, your menu, your taste, and what is available to you. Don't be afraid to try a few different wines to see which you prefer. Madeira is a very overlooked wine in most social circles but shouldn't be.